1969 Porsche 911 - $132,500 - Auburn, CA - We are pleased to introduce, on behalf of one of our clients, this highly original Porsche 911E Coupe to the market. 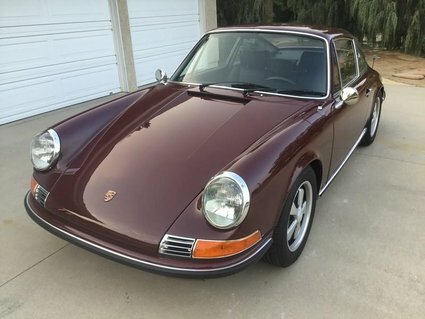 Finished in its original color of Burgundy (6808) over black interior, this is a truly stunning example of a classic long hood 911 Coupe. The 1969 Porsche 911 is the last of the 2.